Unauthorized mail forwarding is a major offense to any organization. When your webmail becomes compromised with a series of undetected Trojans your first thought is who the malicious insider could be. 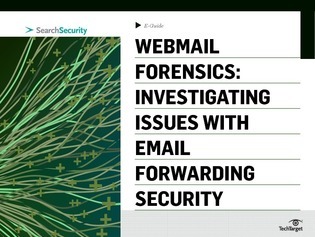 Application security expert, Mike Cobb discusses webmail forensics possibilities for dealing with the aftermath of an issue involving email forwarding. Read this expert e-guide and discover how to avoid these issues with your webmail and employees.